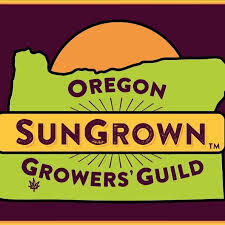 As Chair-Elect of the Cannabis Law Section of the Oregon State Bar, I am pleased to announce the launch of our Brown-Bag Cannabis Law Lunchtime Speaker Series. We have decided to kick off the program with an issue that is the bogeyman for everyone in the industry: IRC Section 280E. The Lunchtime Speaker Series is open to all, not just lawyers and accountants, and we think that understanding this particular issue is important for all canna-businesses. I hope that you will join us on Monday, April 30th for what promises to be a very informative hour that we are sure will help you understand the implications of IRC 280E and provide you with strategies that will improve your bottom line. Please check out the flyer below for more details and registration information! Please RSVP to Mandy Rynders at mandy@gl-lg.com with your professional credentials for CLE Credit. If you would like to pay in advance, please send your payment to Mandy Rynders, 522 SW Fifth Avenue, Suite 1390, Portland, Oregon 97204.